Dr Peter Langridge is Emeritus Professor of Plant Science at the University of Adelaide and former CEO of the Australian Centre for Plant Functional Genomics (ACPFC). Professor Langridge is also Chair of the Scientific Board of the Wheat Initiative set up to coordinate international research in wheat. Wheat is the most widely cultivated cereal in the world and a staple food for around 3 billion people. It has been estimated that demand for wheat could increase by up to 60% by 2050. There is an urgent need to increase yields in the face of such challenges as climate change, threats from pests and diseases and the need to make cultivation more resource-efficient and sustainable. Drawing on an international range of expertise, this collection focuses on ways of improving the cultivation of wheat at each step in the value chain, from breeding to post-harvest storage. Volume 1 reviews research in wheat breeding and quality traits as well as diseases and pests and their management. Chapters in Part 1 review advances in understanding of wheat physiology and genetics and how this has informed developments in breeding, including developing varieties with desirable traits such as drought tolerance. Part 2 discusses aspects of nutritional and processing quality. Chapters in Part 3 cover research on key wheat diseases and their control as well as the management of insect pests and weeds. 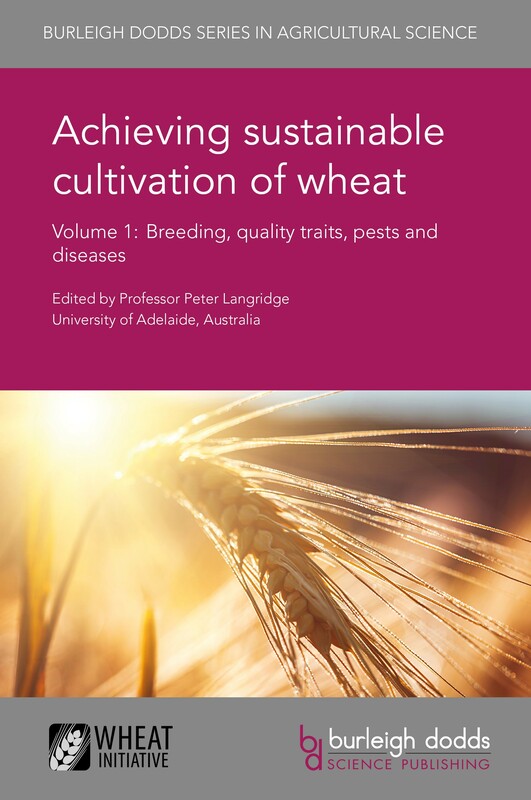 Achieving sustainable cultivation of wheat Volume 1: Breeding, quality traits, pests and diseases will be a standard reference for cereal scientists in universities, government and other research centres and companies involved in wheat cultivation. It is accompanied by Volume 2 which reviews improvements in cultivation techniques. "These books present a comprehensive coverage of issues facing wheat production globally. The authors represent the top scientists involved in the diverse areas that are important for sustainable wheat production and will this book provides an excellent resource for those interested in wheat improvement and production".